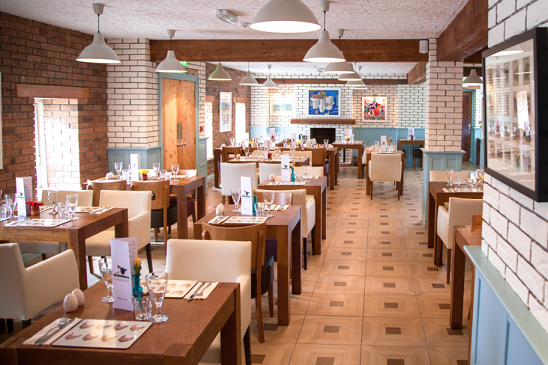 This award winning family-run pub places a great emphasis on catering for families. Father and daughter Martin and Kellie are at the helm. The place consists of a traditional old time public bar with a wood-burning stove and snug lounge which is used for seating up to thirty people for food. There is also a larger dining room seating fifty six with a contemporary feel including a nice open fire for the winter nights. More recently they added a pizza and sandwich bar to their offering. Food-wise, we’re talking wholesome, traditional and fresh with a contemporary twist. The menus are peppered with local ingredients and are changed every three months. Apart from the savoury stuff, (lunch and dinner) they’re known for their excellent coffees and desserts. There’s also a wide selection of draught and bottled craft beers (100) and ciders (30). Approximately thirty percent of food in the menu is updated every three months. They have their own beer garden and opened a nano-brewery Black Mountain Brewery, during 2016. In addition to brewing beers their output also includes a range of spirits called the Hen’s Blend. They are in the process of developing a new roof top kitchen garden. Won LCC Best New Business Award 2015 and Best Pub Breakfast in Best Breakfast Awards 2015. During 2016 they won the LCCC Best Licensed Eating Establishment and were shortlisted as best Rural Pub by LCN. In 2017 the Pub won Ulster Tatler Public House of the Year. Recently Pub Spy scored the Pub ten out of ten.